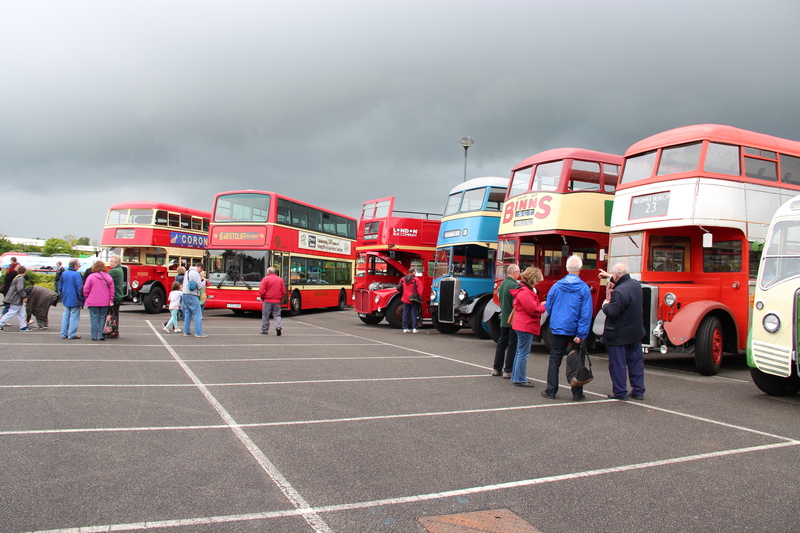 CLACTON BUS RALLY 2015: RAIN WON’T STOP PLAY. 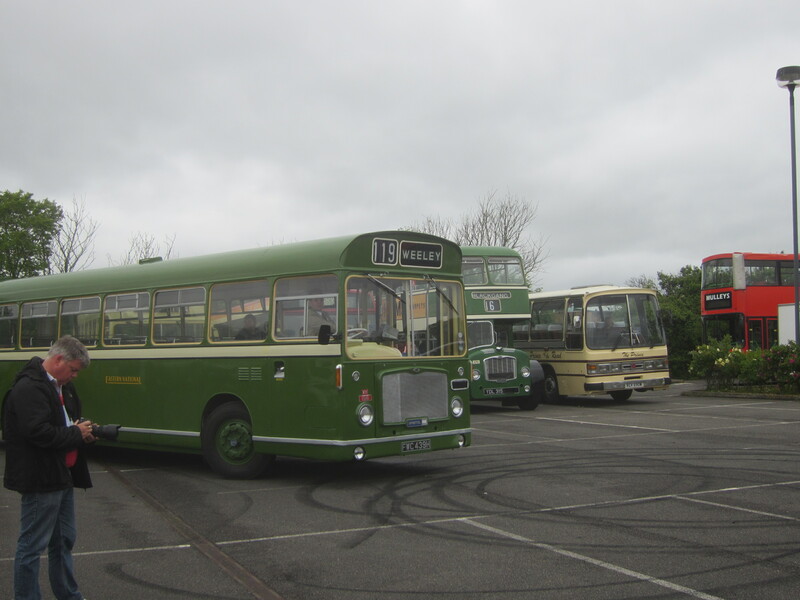 A preserved Eastern National Bristol RE in ‘Tilling’ livery moves forward to pick up passengers for one of the free bus trips into town. 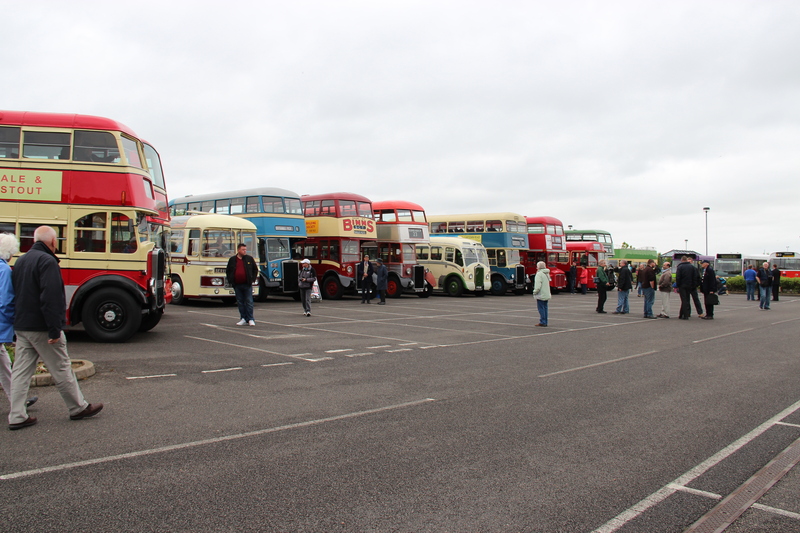 Well done to everyone who came to the 2015 Clacton Bus Rally yesterday (31st May), you were brilliant! You could have been put off by the weather and stayed at home, but you took the risk and braved the elements, even when the rains came many of you stuck around, determined to enjoy the day, and what an enjoyable day it was! 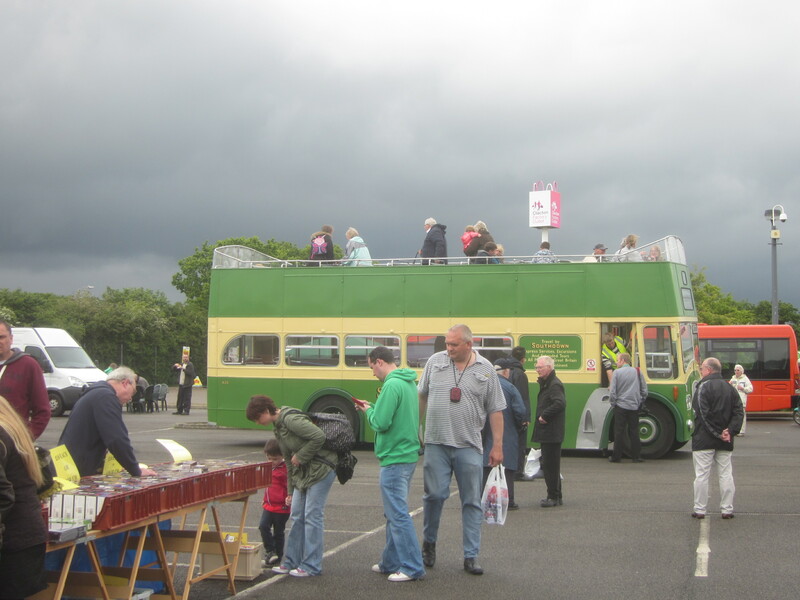 A superb line up of preserved buses, more than anticipated and many from beyond the eastern counties provided plenty to keep us occupied throughout the day, with many ignoring the dark skies and enjoying the open top rides into town. Who cared that it rained, we’d soon dry off. Boarding passengers bravely ignore the threatening dark sky as they settle down for a wet and windy ride to the seafront. Thanks and congratulations to the organisers for a well run event, and thank you to everyone who visited us at our stand, it was good as always to see our regular customers and to meet new ones. ← BUS STATIONS; AN ENDANGERED SPECIES.